Grade 6 or above on the clarinet? (or WOW for short) was formed in 2010 to provide wind players of all ages, from Grade 3 to Grade 6+ standard with the opportunity to have fun making music with others once a fortnight. Would you like to be part of our group? 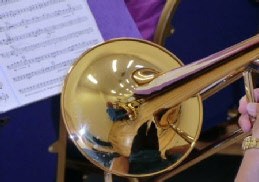 Try WOL - This fortnightly group is for players who’ve not yet had experience of playing with a conductor, or who have yet to reach Grade 3 standard.